Sometimes you have to be assertive to get what you want! 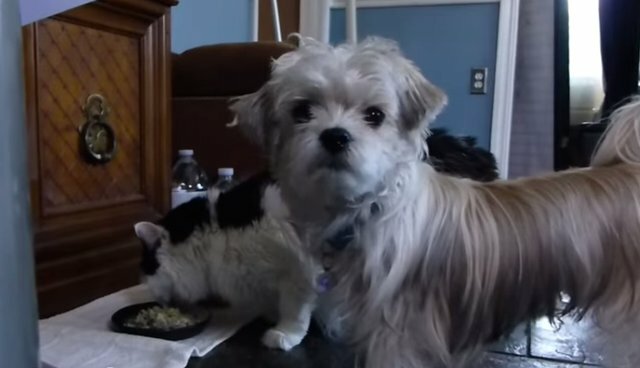 This little pup was all ready to eat his dinner, when the cat came over and decided that she wanted seconds. 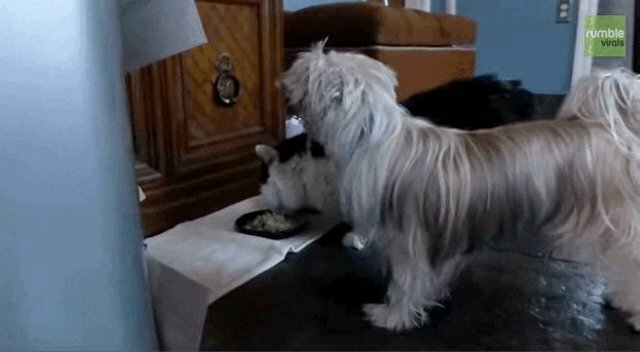 The dog had no idea how to politely inform the cat that she's actually taking his food! Maybe pace in a concerned manner? Maybe look woefully at the camera? 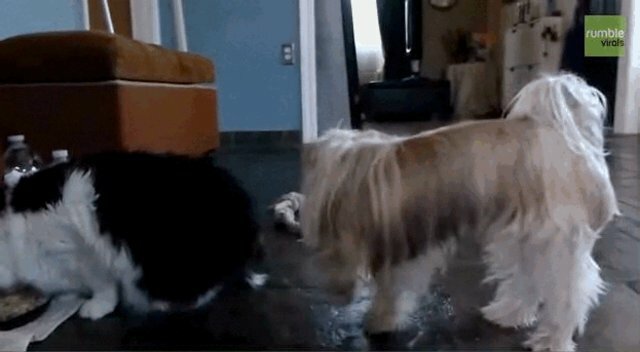 Dog food can occasionally make kitties sick, and they need different nutrients than dogs, so you shouldn't actually allow your cat to anything intended for your dog!